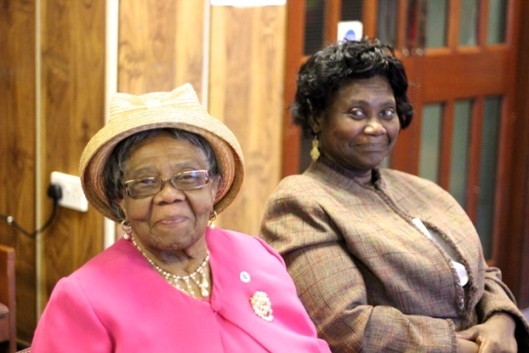 Brockley Voices is a new oral history project by the Brockley Society which seeks to capture and share the stories and reminiscences of people living in or connected to Brockley. Several volunteers came forward following a piece in the November 2014 Newsletter which expressed a desire to preserve the memories of older Brockley residents before they are lost forever. Following several meetings, a core group of volunteers with a range of recording, interviewing and archiving skills has emerged. Our aim is to record the thoughts, feelings and memories of anyone who lives in or is connected to Brockley, capturing for posterity a snapshot of the area in the early 21st Century. By broadening out from the initial idea of ‘reminiscence’, we hope to make the project accessible and relevant to anyone who feels they have something to say about Brockley. We are looking at how to structure and conduct the interviews, and thinking about subjects or topics we most want to find out about. Some conversations will be long, in-depth, and subject-specific; others may be shorter and more random: ‘vox-pops’ captured at public events, for example. We have a short list of people who we hope to speak to initially, but are looking for suggestions and volunteers. If you would like to participate, or know of someone who might, please get in touch. We would also like to hear from anyone who is either proficient at recording archival quality audio or is interested in being trained. Providing training and support to ensure the project can continue indefinitely is integral to the project. We will formally launch the project at the Then & Now Photo event on Hilly Fields on Sunday 19 July 2015.